A picturesque limestone bluff situated high above the Bosque River, Lovers’ Leap is as dangerous as it is beautiful. 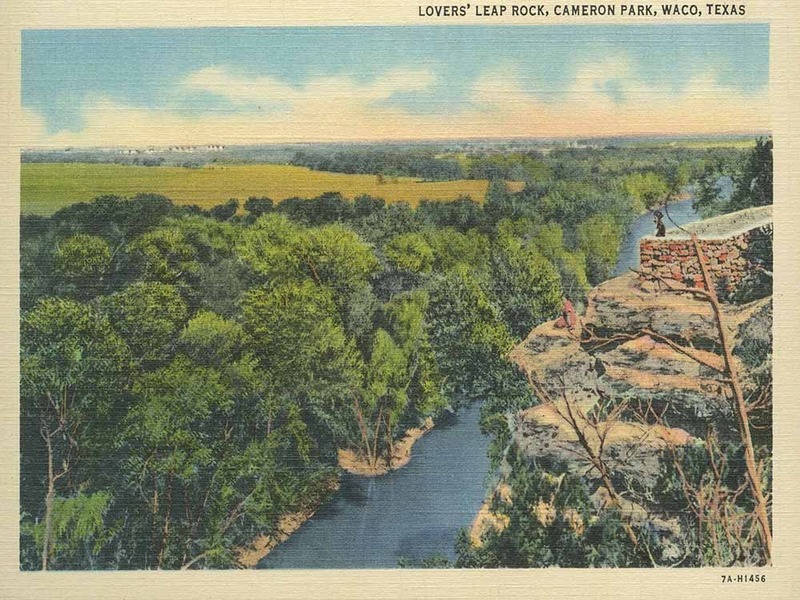 On June 28, 1917, the Cameron family purchased a tract of sixty acres featuring the cliff area known as Lovers’ Leap. Though it had been the site of many picnics and romantic excursions, Lovers’ Leap had yet to receive formal designation as a park site. The Camerons originally leased the land to the federal government with the understanding that when Camp MacArthur troops no longer needed it as a recreation space, it would be added to Cameron Park. 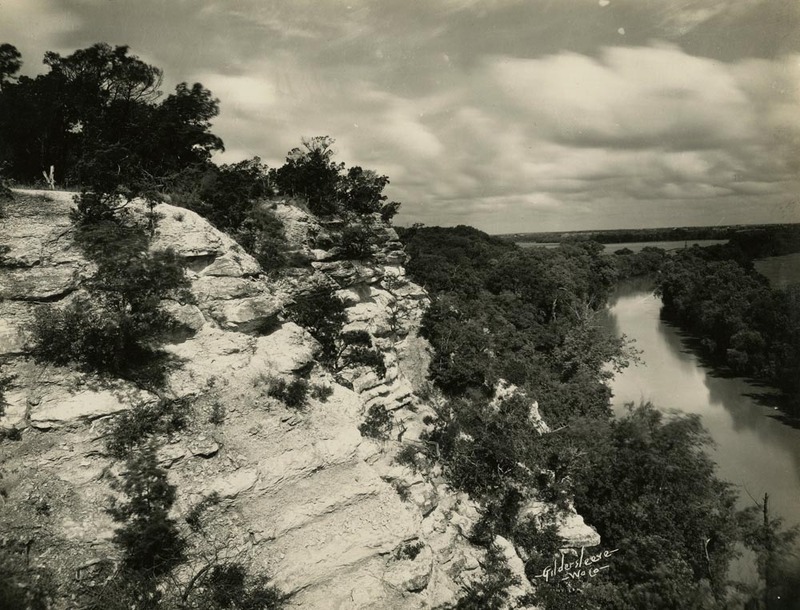 On September 3, 1920, the Cameron family acquired the remaining 191 acres between Cameron Park and Lover’s Leap, thereby ensuring the bluff would remain a central attraction in one of Texas’ largest municipal parks. Associated with the cliff is a folktale involving two star-crossed Native American lovers. As recounted by Decca Lamar West in her popular 1912 booklet The Legend of Lovers’ Leap, Waco Indian maiden Wah-Wah-Tee secretly accepted a marriage proposal from a handsome Apache brave despite the enmity between their tribes. The two hoped to elope but were thwarted in their effort to run away quietly at night by Wah-Wah-Tee’s father and brothers who objected to the union. Cornered at the edge of a steep cliff above the Bosque, Wah-Wah-Tee and her brave chose to embrace one another and leap into the swollen river below rather than face a lifetime apart. The bodies of the two, still holding tightly onto one another, found a final resting place on the banks of the river close to the site of their first meeting. While stirring, no historical basis exists for the tale. It is most likely a byproduct of late-Victorian romanticism and efforts to promote one of Waco’s natural wonders to outsiders. Since its establishment as an official outlook, Lovers’ Leap has presented a genuine safety concern. In an effort to safeguard the public from the cliff’s edge while not obstructing the splendid view of the surrounding countryside, park authorities constructed short stone walls. However, select visitors in pursuit of a better vantage point sometimes ignored these barriers, leading to personal injury or in certain cases death. 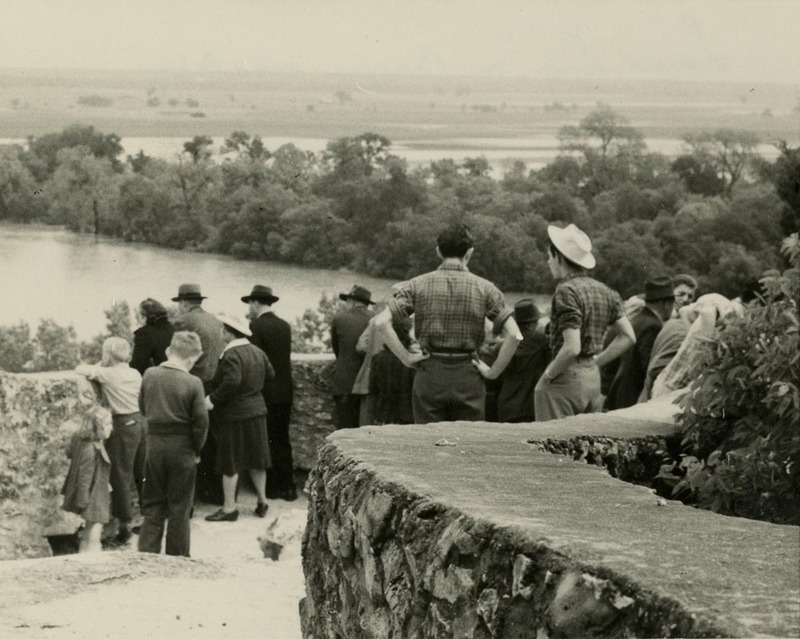 In order to improve safety at the outlook and spruce up its appearance in time for the park’s centennial, the city of Waco constructed new fences in 2009 and removed foliage on the cliff face to enhance the view from the designated overlook plaza. 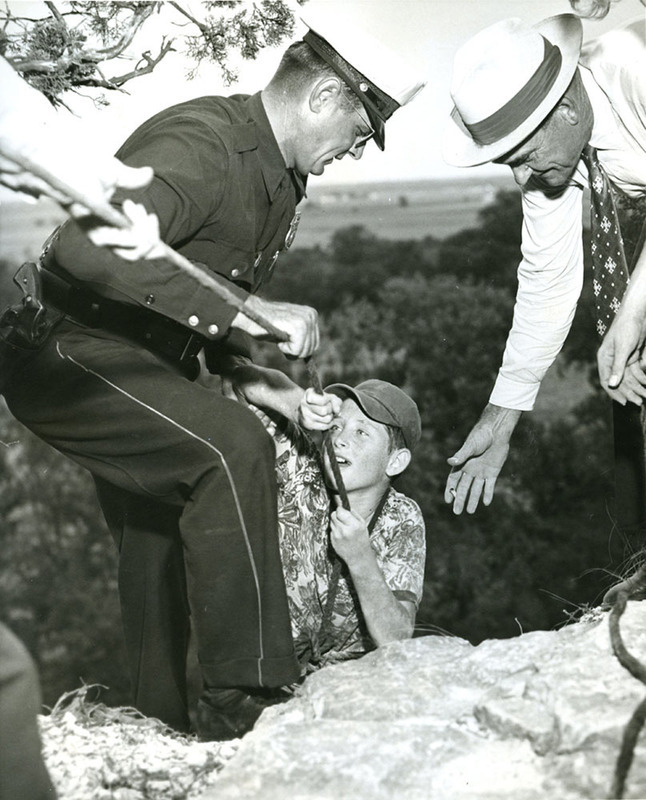 For more than one hundred years, Wacoans and tourists alike have been drawn to the dangerous beauty of Lovers’ Leap. 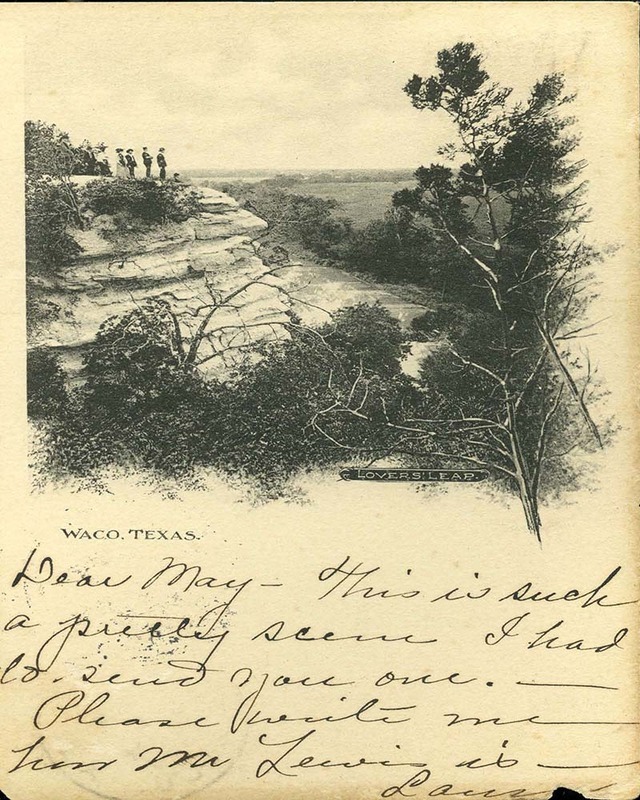 Prisca Bird, “Lovers' Leap,” Waco History, accessed April 18, 2019, https://wacohistory.org/items/show/38. "Cameron Park. 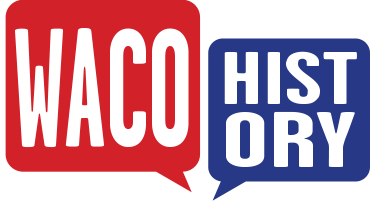 "In Handbook of Waco and McLennan County Texas, edited by Dayton Kelley. Waco: Texian Press, 1972.Firmin, Mark. A Long Love Affair with Nature's Splendor: Waco, Texas' William Cameron Park a Centennial History: 1910-2010.Waco, Tex. : Big Bear Books, 2010.